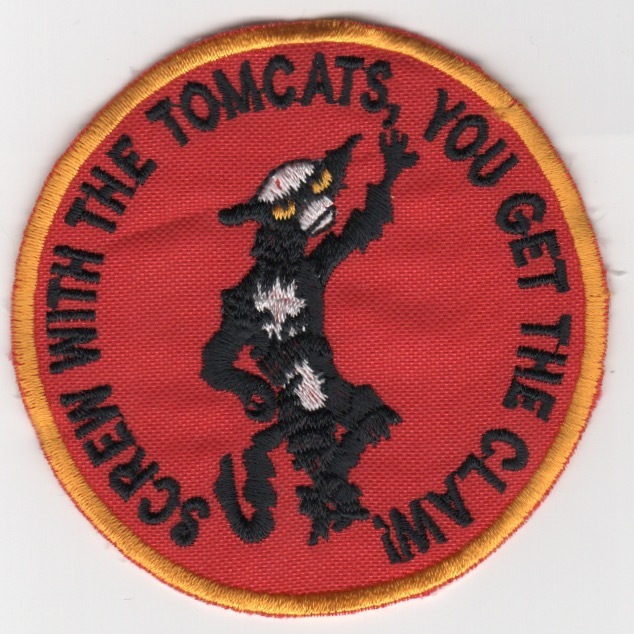 This version of the famous "Screw with the Tomcats, You get the Claw", is from VMA-311 TOMCATS, a AV-8B HARRIER Squadron stationed at MCAS YUMA! This version was found in a Korean embroidery shop in limited quantities. This patch does not have velcro attached. This version of the famous "Screw with the Tomcats, You get the Claw", is from VMA-311 TOMCATS, a AV-8B HARRIER Squadron stationed at MCAS YUMA! This version has the "crisp details" and merrowed border (newer version) and also does not have velcro attached. This is the color version of VMA-311's det patch for their participation in Operation Iraqi Freedom, 2003. They fly the AV-8B Harrier. This is the desert version of VMA-311's det patch for their participation in Operation Iraqi Freedom, 2003. They fly the AV-8B Harrier. This is the friday patch for the VMA-311 "Hells Belles" commemorating one of their historical patches. This is VMA-311's current det patch for the buildup going on. They fly the AV8B Harrier. Homepage | Order VMA-311 Patches!